Being pleasantly surprised by something is always an exquisite feeling. There’s nothing quite like approaching a situation with skepticism and disbelief only to be knocked off your feet by a wonderful product or experience. When Zager Guitars offered to send JamPlay four of their custom built guitars for us to review, we immediately became skeptical. Their “EZ-Play” marketing sounded at first like a gimmick to lure in unsuspecting new players, and we couldn’t believe the reviews comparing the guitars to similar offerings from legendary companies such as Martin and Taylor for nearly half the price. After nearly a month of time spent examining and playing this family of guitars, it can be said with utmost certainty that being pleasantly surprised by these guitars is putting it mildly. Summing up the entire Zager line of guitars is positively easy. They are excellent. Every model included in this review was well made, impeccably setup and both played and sounded beautifully. 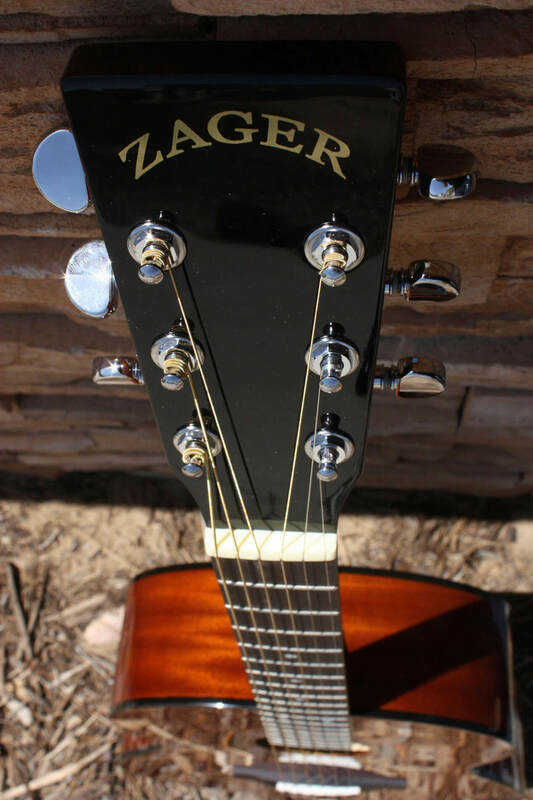 Each guitar in the Zager line was priced fairly, and in many cases you would have to spend hundreds of dollars, or even double in some cases, to purchase a guitar comparable to the Zager in terms of sound and playability. Each guitar comes with several nice touches, including a picture of Denny Zager (the designer of the Zager brand of guitars) playing the purchased guitar, a Zager t-shirt and an extremely nice hardshell case. The cases even feature a humidifier in some models, which was a nice touch. Truth be told, the staff at JamPlay enjoyed this group of guitars so much we used them to produce a new acoustic series entitled "Chords, Capos and Simple Melodies." 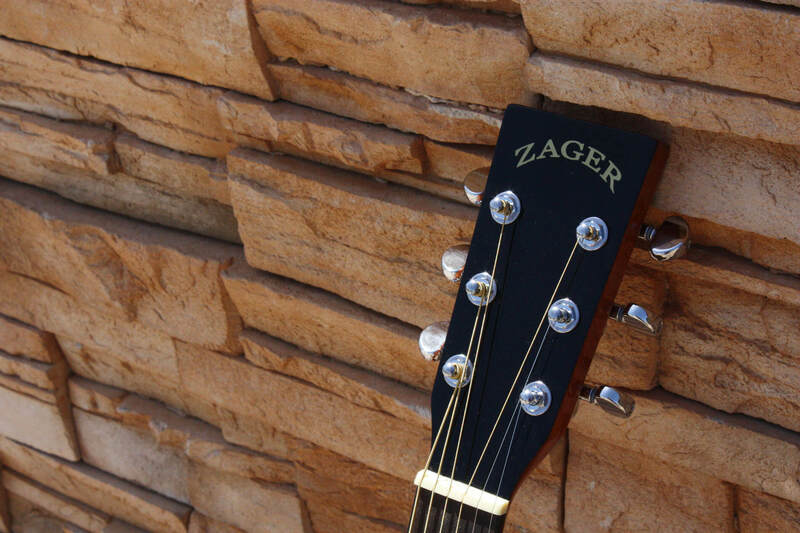 The ZAD 900 is Zager’s pro level guitar and it absolutely lives up to the name. It can be found ranging in price from $1695 to $1995. 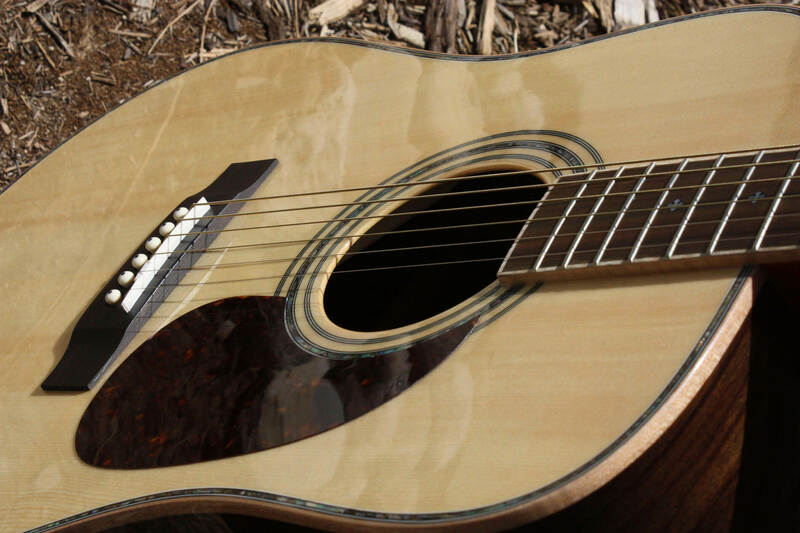 This Dreadnaught style guitar has a bright, beautiful sound that projects well. 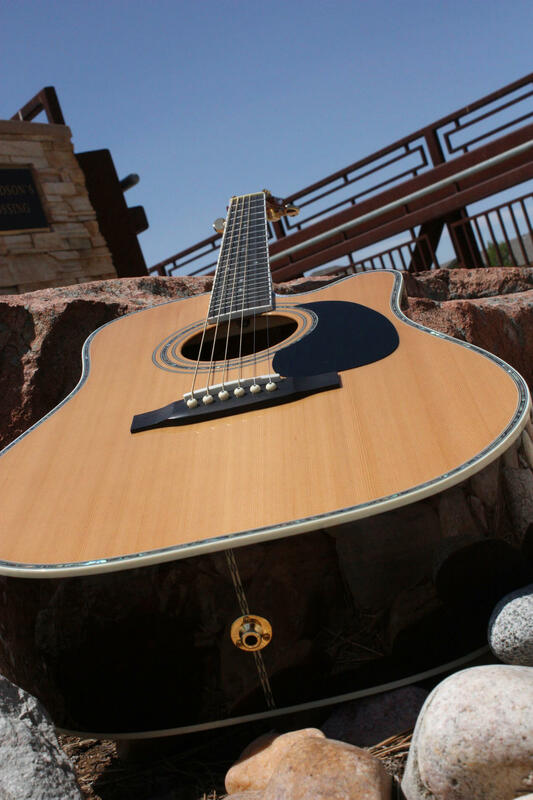 It uses quality materials such as a Grade A Sitka Spruce Top, Indian Rosewood back and sides, a mahogany neck that features a beautiful inlay and a high gloss finish. Small details such as Grover tuners and a hand carved nut and saddle are not ignored. The electric version features a top of the line Fishman Aura pickup system which is often touted as the best in the business. This guitar has an excellent choice of quality woods. It is a a beautiful looking guitar. This is one of the nicest acoustics I have ever played and the luxurious hardcover case is just icing on the cake. The fretboard is extremely comfortable, with a nice neck radius. The action along the entire neck is comfortable and fast without any buzzing. 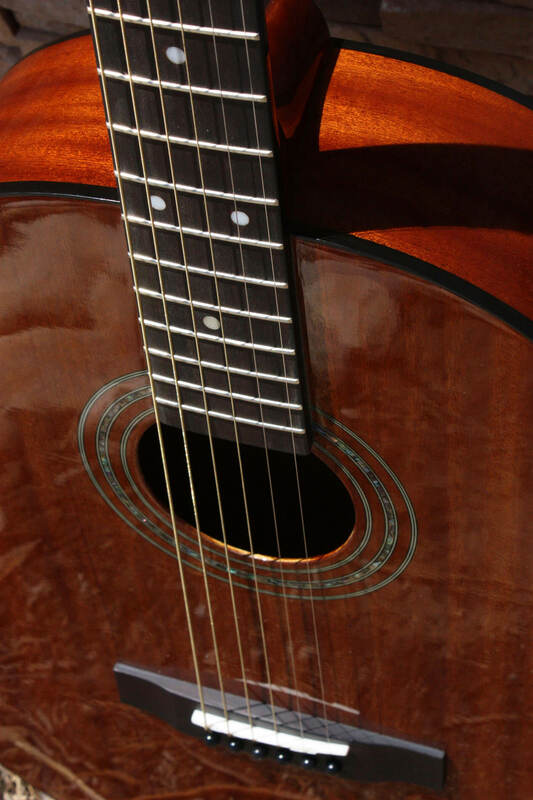 Difficult barre chords are easy to play on this guitar and the overall playability is excellent. This guitar micd up beautifully in the studio. It has a very balanced and lively sound that seems to jump out and grab the mics. It’s one of those instruments that seems to fill up whatever room you’re playing in, and it is full and warm sounding without getting muddy, even in lower alternate tunings. 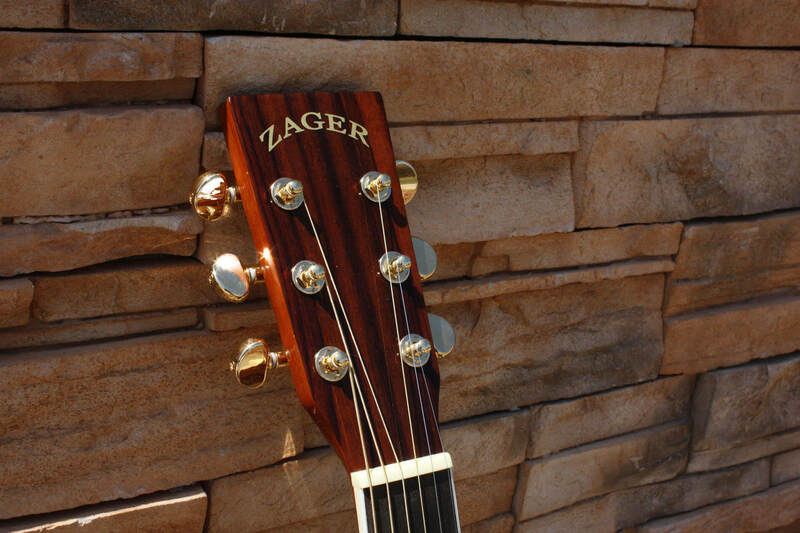 The ZAD80E is a high level Zager guitar that can be found for as little as $995. 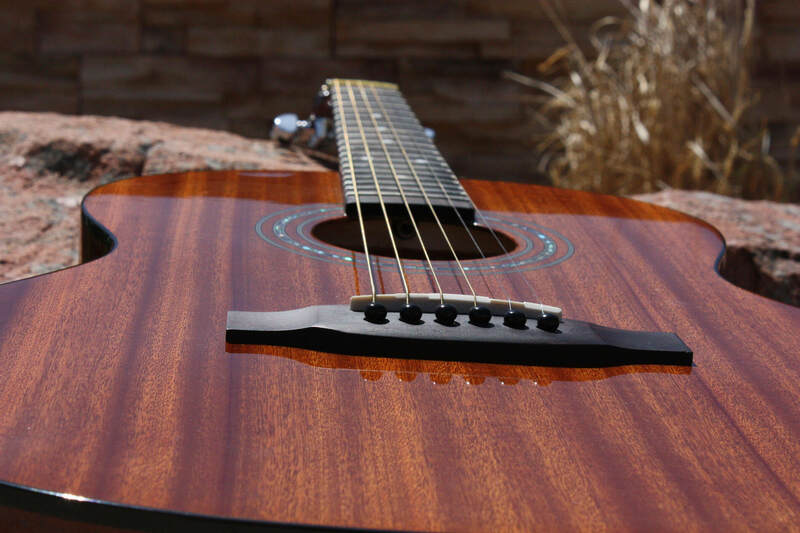 It features a Western Red Cedar top and Indian Rosewood back and sides. This results in a mellow yet sweet tone that all of the instructors who played the guitar made note of. 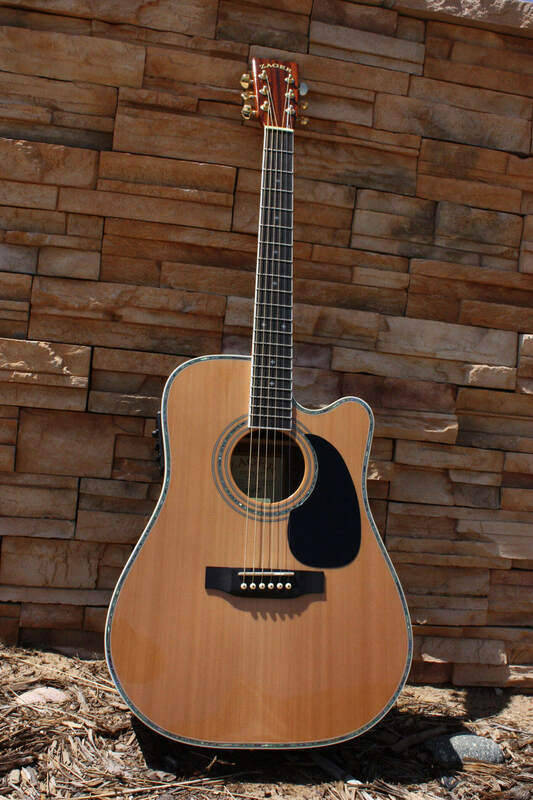 It features a Fishman ClearWave 60 electronics package which features a built in tuner and equalizer. This guitar sounds every good plugged in as it does acoustically. As with all of the Zager guitars this beauty has an extremely fine tuned setup allowing it to be played easily and without fret buzz or intonation problems. 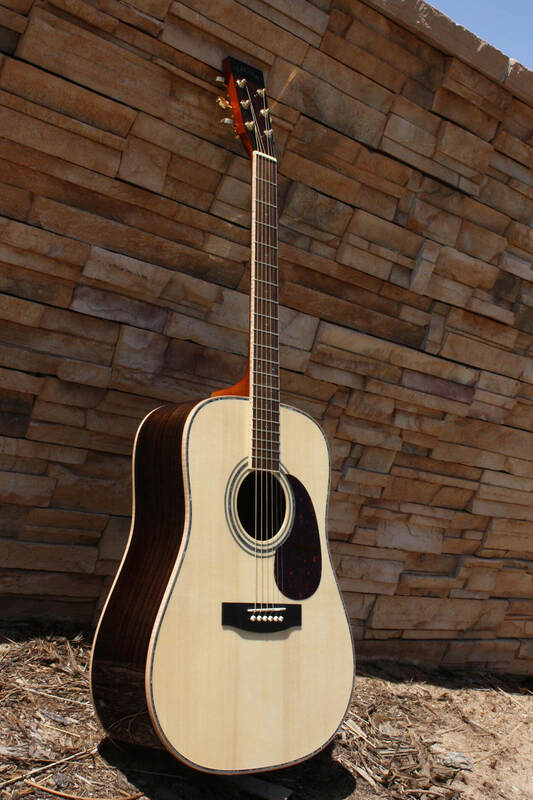 This guitar uses a wide variety of quality woods, especially when compared to other offerings in it’s price range. A beautiful guitar with a nice, sweet sound that feels very focused. 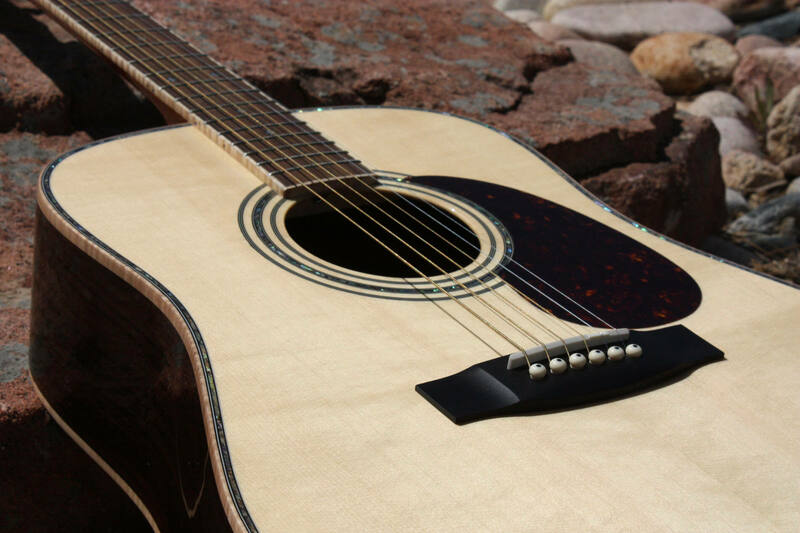 You get a lot of bang for your buck when compared to Martin or Taylor guitars. You would have to spend considerably more to get a similar guitar. This guitar has exceptionally nice intonation up the neck. It has a very bright sound with rich, full mids. The fretboard is extremely comfortable, but slightly thicker than I would prefer. It still functions perfectly though and the thumb can still be wrapped around comfortably. The action along the entire neck is comfortable and fast without any buzzing. Difficult barre chords are easy to play on this guitar and the overall playability is excellent. This one is a joy to use live. The pickup system sounds great, provides an accurate and easy to use tuner and you can get to the battery without having to smash the guitar (or even detune any of the strings). Zager’s EZ Play technology really does make a difference! My left hand seemed to be far less tired during long rehearsals than when playing my personal acoustic. 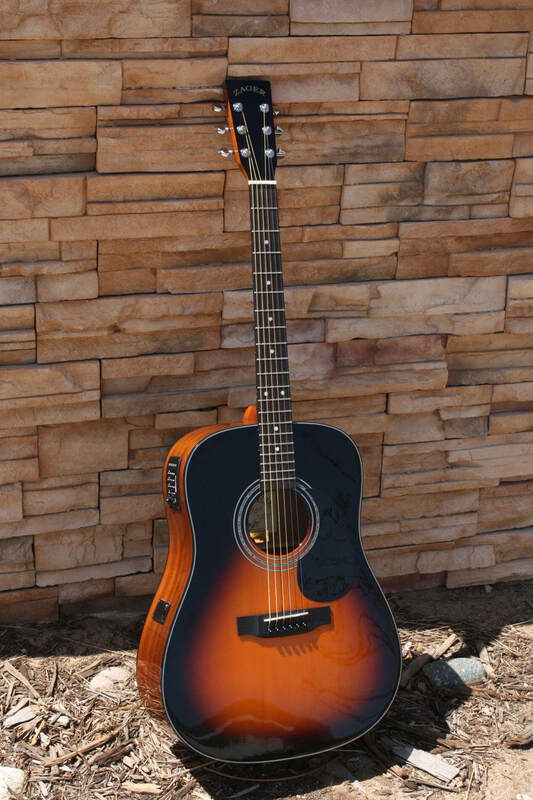 The ZAD20 Sunburst is one of the lower end Zager guitars, coming in at a typical sale price of $395. This guitar may be lower priced, but it still contains the DNA of the Zager line including an excellent setup, high quality materials (for the price point) and the typically beautiful sound. This dreadnaught style guitar features Sitka Spruce top, mahogany back, sides, neck and headstock topped with a beautiful high gloss finish. 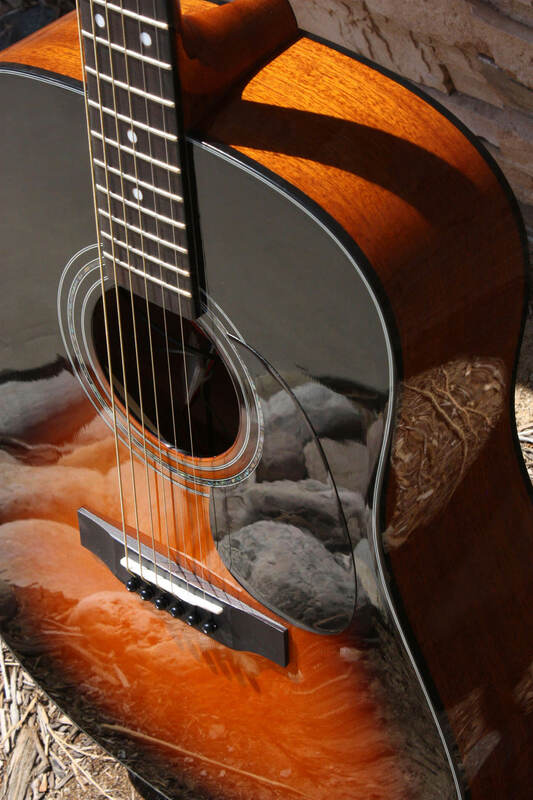 Our instructors generally felt that the guitar played as good as many offerings coming in at nearly twice it’s price. This guitar has mahogany sides, back, neck and headstock and a Sitka Spruce top. This is a good choice of quality woods for a guitar in this price range. This guitar comes in a hard case that is well above other uitars in it’s price range when discussing quality and craftsmanship. 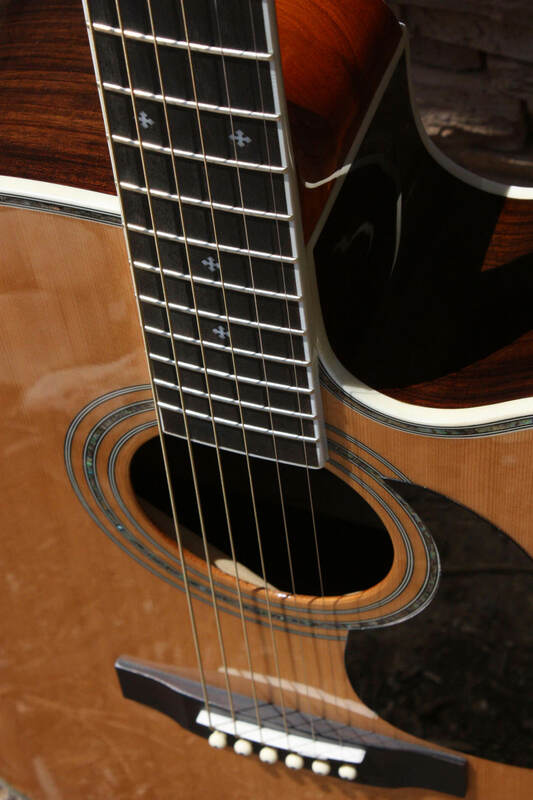 This dreadnaught guitar joins the guitar at the 14th fret. This guitar is not overly flashy design wise, with a rather subdued look when you take the sunburst pattern out of the equation. That does not mean this is not a quality guitar though, it is well built and sounds wonderful. The tone is well balanced and not overly bright. The guitar has a nice feeling fretboard and is setup well. As with the other Zager guitars the intonation is spot on. This guitar plays like instruments twice its price. With a great pickup for going to a PA, and a warm, full sound for purely unplugged settings, this guitar holds its own and then some. 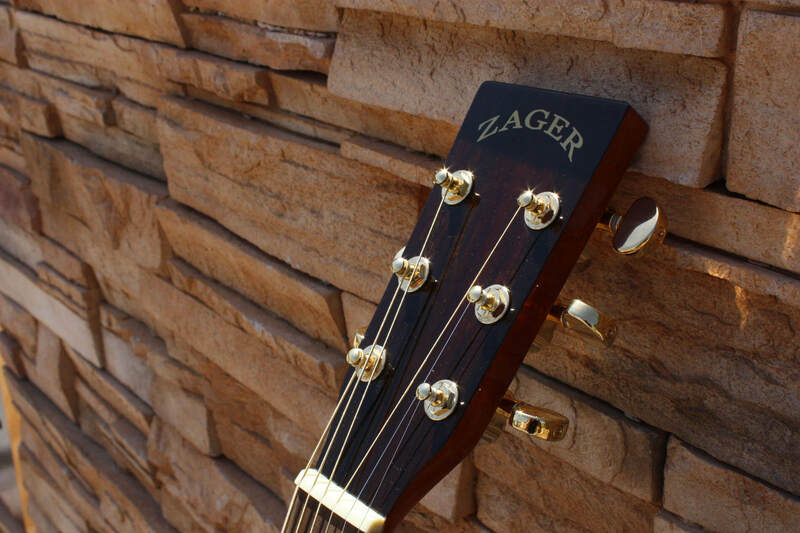 The Baby Mahogany Acoustic is Zager’s take on the 3/4 size guitar. 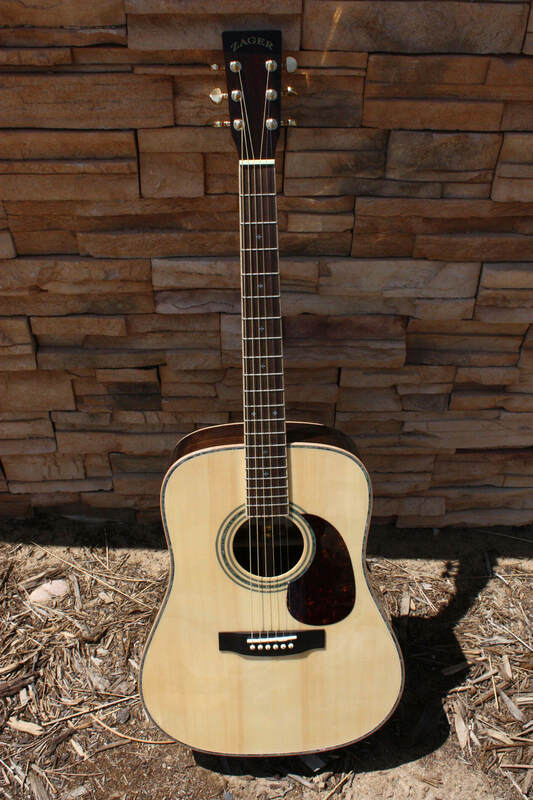 This guitar comes in at a sale price of $345 and is worth every penny. 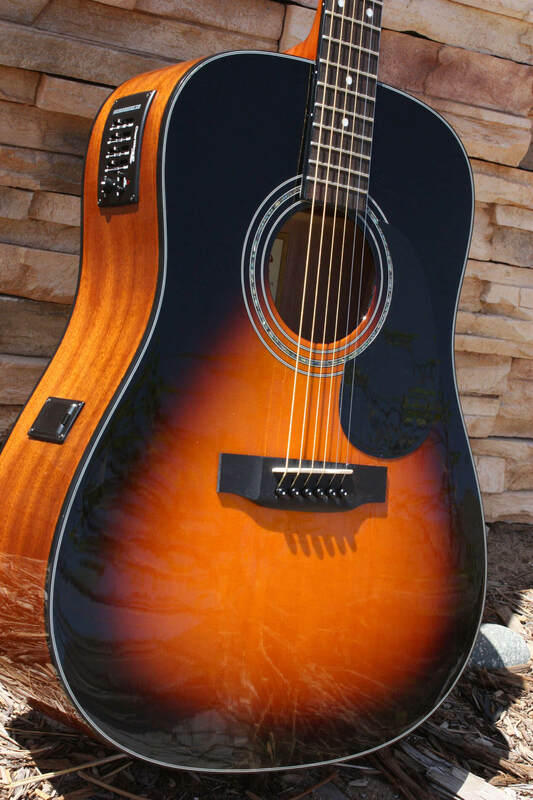 It features a mahogany top, back, sides, headstock and neck topped with a beautiful high gloss finish. The playability on this guitar, as seems to be standard with Zager, is excellent. 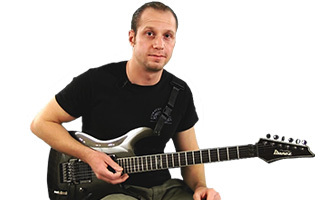 The sound is rich and focused, particularly for such a small, and affordable, guitar. This is a smaller parlor style guitar that joins the body at the 12th fret. 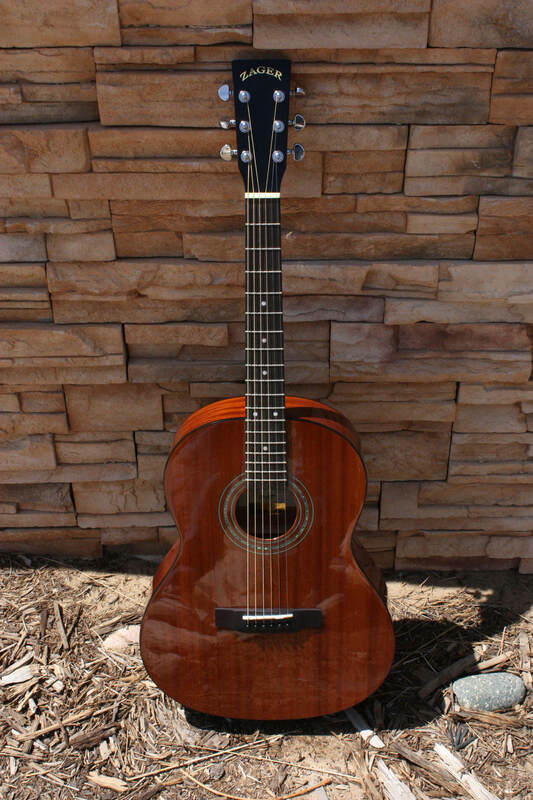 This size of guitar is perfect for children or people of smaller stature. Taking into account the price and size of the guitar it still feels very well made. This is not a guitar that gives you the impression of cut corners. Stays in tune well and has good intonation up the neck. A very lively sound, particularly for a smaller guitar. You could do quite well with this guitar. You always expect the high end guitars to sound and play great, but its easy to look at the low price tag and small body and write this little guy off. That would be a mistake. For a small scale guitar, it packs a big sound. 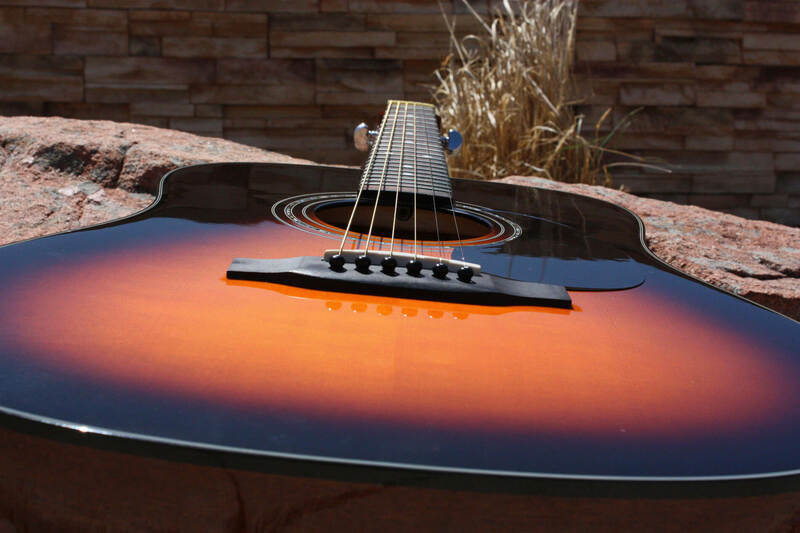 It is designed so that it is easy to play but you can still strum your heart out without fearing buzz. It makes a great all around guitar!